There are many different mouth guards available in the market. They differ in cost as well as comfort. They also vary depending on who wears them, whether it’s for the shining new jock or the quiet smart kid suffering from bruxism or teeth grinding. These mouth guards are readily available and can be purchased in sporting goods and drugstores. These are preformed, usually made of rubber or polyvinyl, and ready to wear. They are the least inexpensive among the types of mouth protectors. However, they are bulky and could be a bit uncomfortable. Breathing and talking may be difficult since these protectors need the jaw to be closed to hold them in place. This type of mouth guard is also easy to find. It is also a preferable fit as compared to the stock mouth protectors. There are two common types: boil-and-bite and shell liner. The former is made from thermoplastic material. The material is first placed into boiling water, softening it, and then placed in the mouth and molded to the shape of the teeth using fingers and tongue pressure. The shell liner type is a mouth guard lined with acrylic gel or rubber which molds to the teeth and sets to the shape. 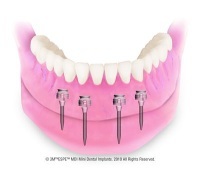 These are designed and made in a dental office or professional laboratory. These mouth guards are by far the most comfortable and offer the most protection since they are tailored. The dentist first makes an impression of the teeth. Next, the mouth guard is shaped over the model with the use of a special material. However, these mouth guards are expensive. The special materials and the time involved in making these are what make them costly. There are a variety of mouth guards available out there, but one should consider budget and comfort when choosing the right mouth guard. In a nutshell, the mouth guard should fit properly, durable, easy to clean, and should not restrict speech and breathing.